Hello! We are John and Sarah Traeger, a husband and wife passionate about cars, travel and Disney! We love meeting new people and look forward to hopefully meeting you! Some fun facts about us: John’s dream car and first love will always be a Porsche. Sarah’s dream car is a Mercedes G Wagon 4x4. We’ve had the opportunity to travel around the globe to a variety of places but the Maldives was by far our most favorite. Though I’m not very active on social media, my wife is. Feel free to check out her Instagram sarahjoy_joy. It’s filled with many of our travel adventures and a whole lot of Disney! Why a Jeep and why Turo: Sarah and I were headed to California, for Disneyland of course but wanted to do a day trip to San Diego. Rental car options were so expensive so I did some research and found out about Turo. I surprised Sarah and booked a white Jeep. She’s wanted one since childhood but never actually been in one. We both fell in LOVE with the joy and freedom you feel in a Jeep. From there we knew we had to get one and that we had to share it with the world. So this is our baby, Pongo! Yes, he’s named after the dog in 101 Dalmatians! 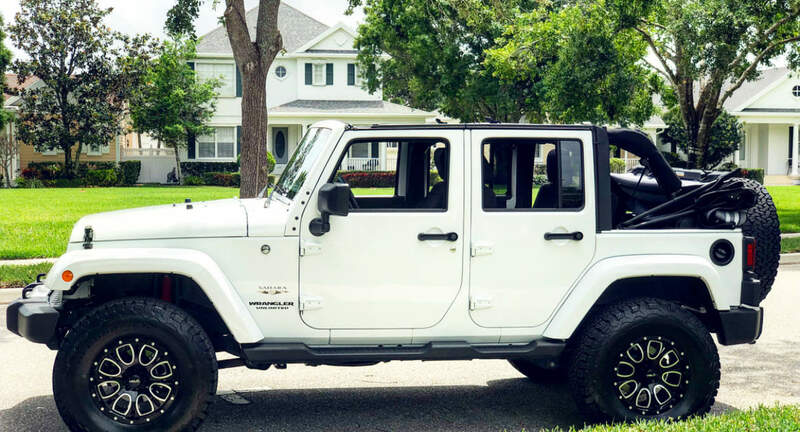 We hope you take advantage of the opportunity to live the Jeep life, even just for a few days. 珞 Because we care so highly about cars and travel, you can always be assured that your experience is our top priority. Therefore, the car will always be in pristine condition inside and out so you can enjoy your travels both safety and in style. In addition, with backgrounds in customer service through Chick-Fil-A and The Walt Disney Company, you can be assured that we will always go above and beyond to ensure that you are pleased with your experience.